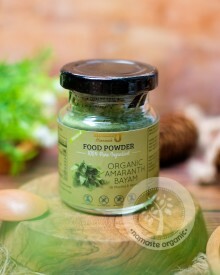 Organic Amaranth Bayam is higher in minerals, such as calcium,iron,phosphorous, and carotenoids than most vegetables. It is high in fiber which results in smooth digestion of food and faciliatates an efficient uptake of minerals and it's also gluten-free. It contains phytochemical compounds like rutin and nicotiflorin, and peptides with ability to help lower hypertension.